Malcolm X remains a heroic, exalted icon for many people. Simultaneously, in some quarters Malcolm was a controversial, maligned and misunderstood political leader. Allegedly murdered by Nation of Islam members acting on winks and nods from the top of that organization, Malcolm's great life was tragically cut short at just 39 years of age. 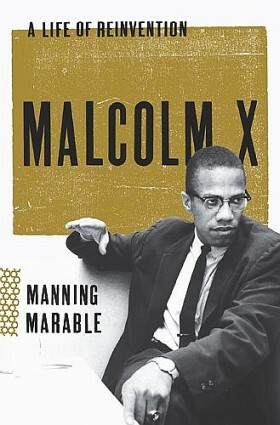 Manning Marable, a now deceased historian and political scientist always felt that the definitive biography and analysis of Brother Malcolm had yet to be written so he decided to write one himself. Other Malcolm X experts, most notably Karl Evanzz, called into question some of Marable's scholarship and editorial decisions. Honestly, some conclusions Marable reached about Malcolm's life do not appear to be supported by the evidence. This caused a firestorm of controversy to erupt around the book. Some details about marital troubles didn't necessarily add a whole lot to the discussion. Unfortunately, Marable is no longer around to defend his arguments and choices as he died just as the book was released. He said that Malcolm was a hero of his but heroes deserved honest appraisals. Still, on balance I think this will increase your understanding of Malcolm and the world he lived in, even as scholars point out that some of this book goes over well traveled territory. Please give it a read and come back to discuss. It's long but moves quickly and like its subject is very engrossing.